Mendocino, CA, March 27, 2018 –(PR.com)– "The Keeper of Fire" by Davina Marie Liberty is now available on Amazon, Barnes and Noble, at select local bookstores, and for retail ordering on Ingram ipage. 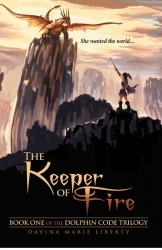 "The Keeper of Fire" is a young adult fantasy adventure novel geared for any person in search of an inspirational role model. In "The Keeper of Fire," a village girl is summoned into a Necromancer’s apprenticeship, who trains her to fight evil forces and bridge the gap between two estranged societies. She bucks the status quo – and the life of slavery her aunt has chosen for her – leaving home for a much bigger world. Written as a metaphor for her own struggles growing up under an abusive step mother, Liberty has created an adventure designed to inspire hope. "The Keeper of Fire" is available at www.barnesandnoble.com, www.amazon.com, and ready for retail orders on Ingram ipage at https://www.ingramcontent.com. Exclusive, first-edition autographed copies will be available at www.libertyreads.net. 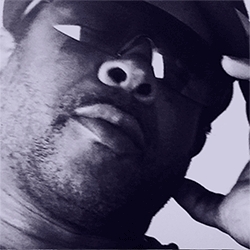 Follow us on Facebook, Twitter, Instagram and follow the author’s blog at www.libertyreads.net.